HPI - This 34 year old lady mentioned occasional left hip and knee pain at our outpatient clinic on 2017-04. An X-ray of the left hip and knee at that point showed early stage osteonecrosis of left hip and no obvious bony lesion of the left knee. Conservative treatment was given initially. However, left knee pain worsened over the past month. Hence, she came back to our clinic. 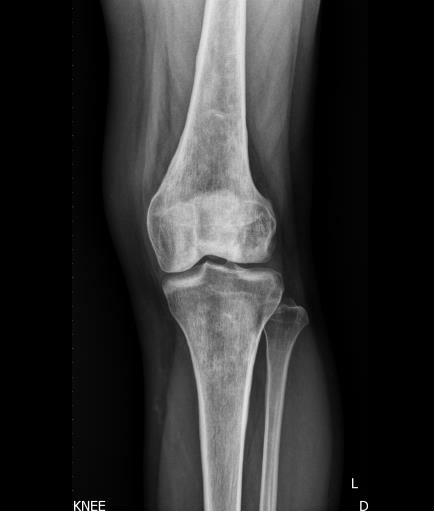 X-ray and MRI of the left knee were checked and showed osteonecrosis over the lateral & medial femoral condyle and the lateral and medial tibial plateau. She denied any autoimmune disease or steroid or alcohol consumption. 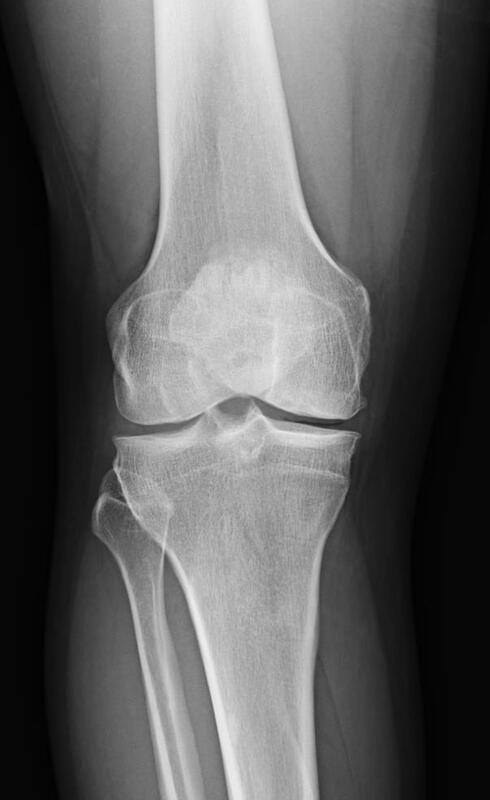 How would you manage this patient's knee pain? HPI - 36 year old, Afro-Caribbean, athletic build, in open prison at the moment. 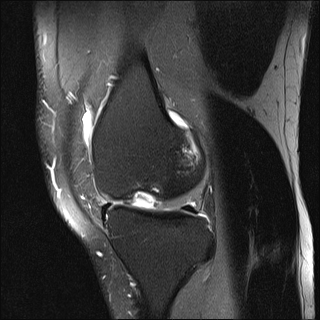 Pain in R knee for 2-3 years. medial-sided, No sickle cell. XRay and MRI attached. What is your surgical management? 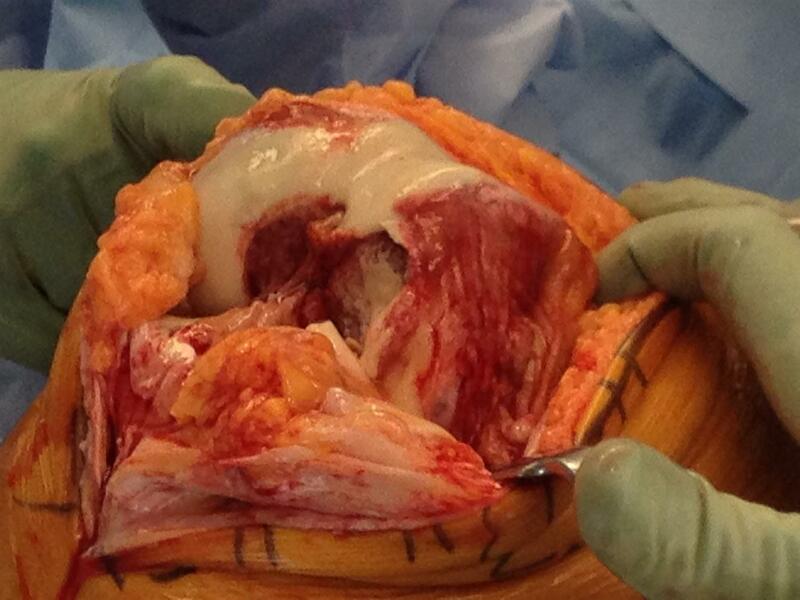 HPI - 40 year old male presents with an ongoing history of right knee pain. He describes a 2 year history of aching knee pain that has recently gotten worse after injuring his knee while lifting a heavy object at work. He works as a general laborer in a warehouse. He does not describe any mechanical symptoms related to the knee (no clicking, catching, popping, or locking). 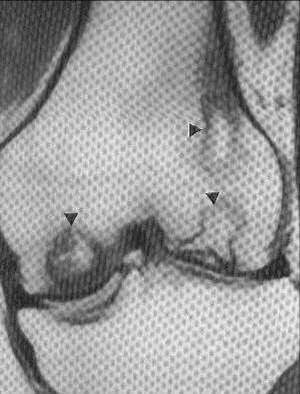 His MRI does not reveal a meniscal tear. He isolates his pain to the medial aspect of his knee.